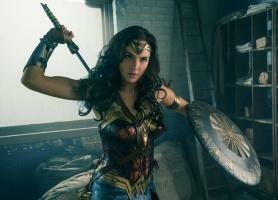 Wonder Woman hits movie theaters around the world next summer when Gal Gadot returns as the title character in the epic action-adventure from director Patty Jenkins (Monster, AMC’s The Killing). Joining Gadot in the international cast are Chris Pine (the Star Trek films), Robin Wright (The Girl with the Dragon Tattoo, Netflix’s House of Cards), Danny Huston (Clash of the Titans, X-Men Origins: Wolverine), David Thewlis (the Harry Potter films, The Theory of Everything), Connie Nielsen (Fox’s The Following, Gladiator), Elena Anaya (The Skin I Live In), Ewen Bremner (Exodus: Gods and Kings, Snowpiercer), Lucy Davis (Shaun of the Dead, FX’s Better Things), Lisa Loven Kongsli (upcoming Ashes in the Snow), Eugene Brave Rock (AMC’s Hell on Wheels) and Saïd Taghmaoui (American Hustle). 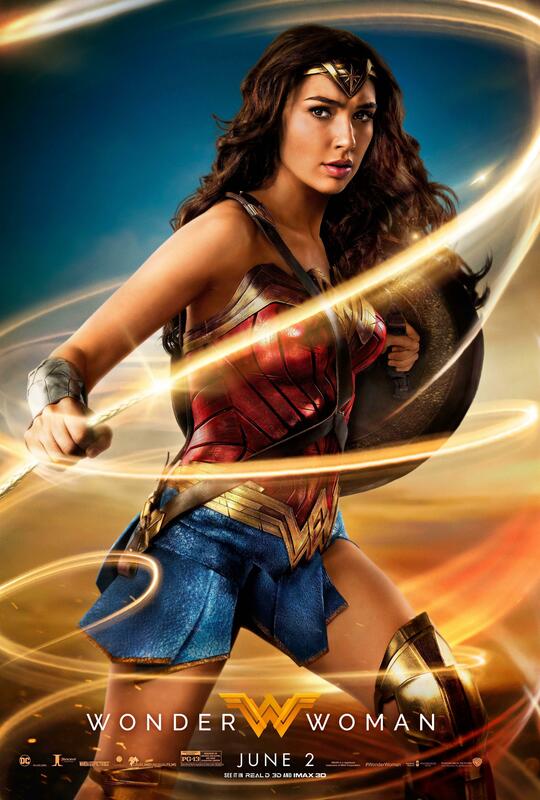 The film is produced by Charles Roven, Deborah Snyder, Zack Snyder and Richard Suckle, with Stephen Jones, Geoff Johns, Wesley Coller, Jon Berg and Rebecca Steel Roven serving as executive producers. Joining Jenkins behind the camera are director of photography Matthew Jensen (Chronicle, Fantastic Four, HBO’s Game of Thrones), Oscar-nominated production designer Aline Bonetto (Amélie, A Very Long Engagement, Pan), Oscar-winning editor Martin Walsh (Chicago, Jack Ryan: Shadow Recruit, V for Vendetta), and Oscar-winning costume designer Lindy Hemming (The Dark Knight trilogy, Topsy-Turvy). The music is by composer Rupert Gregson-Williams (Hacksaw Ridge, The Legend of Tarzan). 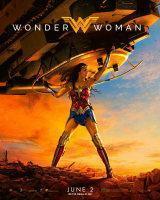 Warner Bros. Pictures presents, an Atlas Entertainment/Cruel and Unusual production, Wonder Woman. The film is scheduled for release on June 2, 2017, and will be distributed worldwide by Warner Bros. Pictures, a Warner Bros. Entertainment Company. With all our hopes pinned on Wonder Woman, it's a relief to say she pulls us out from under and saves the day (and quite possibly the DCEU)! The Amazon Warrior's big-screen solo debut is a rollicking adventure, full of heart and empathy and propelled by a great story, a fantastic cast and some of the best action sequences to grace the big screen. While the film does stumble a bit in the third act, it ends up just being a minor hiccup in an overall fantastic adventure that's not only one of the best comic book movies ever made, but just a flat-out great, empowering movie - period. 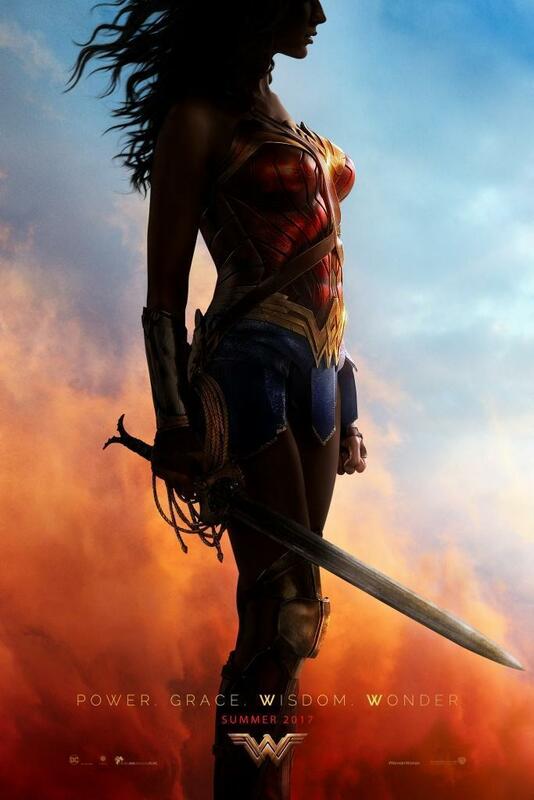 Wonder Woman brings a sense of hope and optimism to the DC Extended Universe, something long overdue (though somewhat bizarre if you think about it, since that's what should've been there from the get-go with Man of Steel). It's a rousing tale of strength, courage, love and doing what is right, no matter the cost. And the film's core themes are loud and clear, not hampered by muddled storytelling or iffy script choices. 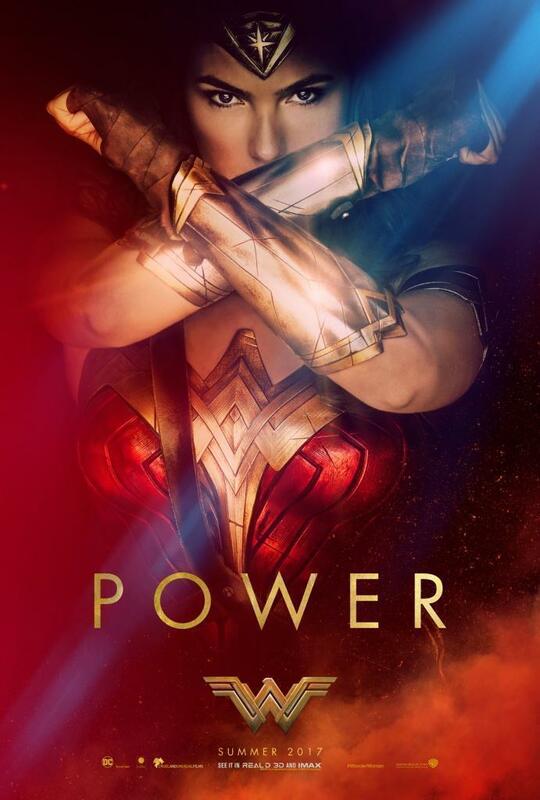 Director Patty Jenkins tells a straightforward, concise story that's refreshing and engaging, while remaining true to the source material and what Wonder Woman stands for. Where another director may have balked and struggled with telling Wonder Woman's story, mythology and all, Jenkins never hesitates and just throws us into it, and the film is all the more better for it. And on top of fully embracing Wonder Woman's mythology, she also doesn't flinch when it comes to Wonder Woman's beliefs in the power of truth and love. It's refreshing to see a hero who isn't reluctant or riddled with guilt, but instead honestly believes in change and the betterment of mankind. That's why Wonder Woman does what she does. She wants the world to be a better place, to bring peace, and it's such a great call on Jenkins part to make sure that sincerity comes through without a hint or irony or mockery of any kind. Nearly every action Diana takes in this movie is fueled by love, and Jenkins absolutely nails it. And that inspiration starts to trickle through to others in the movie, be it those she saves, supporting cast, etc., and it really emphasizes why Wonder Woman is such an inspirational figure. 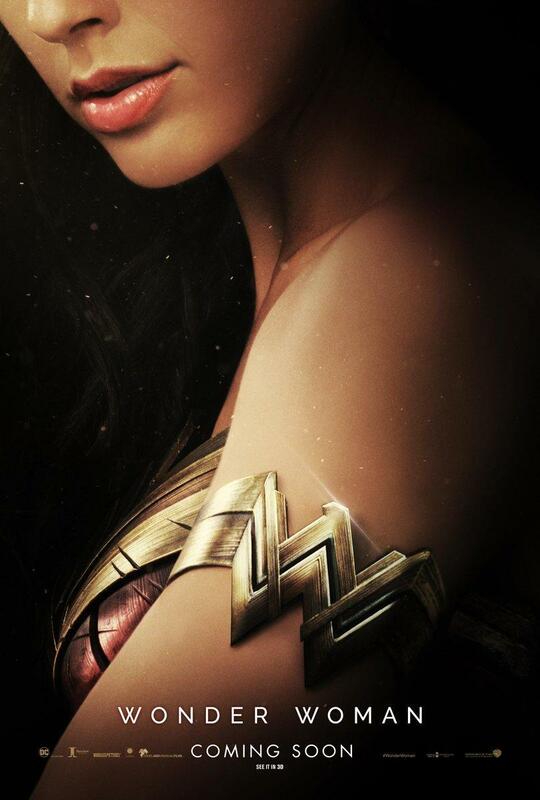 And embodying that sense of truth and love for Jenkins is Gal Gadot, and she turns in an absolutely majestic turn as Diana, Princess of Themiscyra (aka Wonder Woman). She's effortlessly charismatic and absolutely owns the role in every aspect. Yes, there is the odd moment when she might come off slightly wooden, but this is an absolutely star-making turn for the actress. Watching Diana light up as she tests her limits, spreads peace and saves the day can't help but elicit a smile (and perhaps a tear or two). And she's nicely supported by Chris Pine, who brings a charming, rogue-ish quality to Steve Trevor. The chemistry between the two is fantastic, and how they work off each other is pretty much perfection. Gadot's Diana and Pine's Steve meet after his plane crash lands on Themyscira, bringing war to the isolated island paradise where no man has stepped before. When Trevor tells the Amazons that they, and the entire world, are in danger due to the onslaught of World War I and a nefarious chemist, Diana sees no alternative but to help. Convinced its the work of Ares, the God of War, she feels it is her duty to help, and by defeating him she can bring peace back to the world. This movie covers a lot of ground and Jenkins is able to keep the movie rolling at an aggressive pace, but one that never feels rushed. It's a testament to her skill as a director that she's able to tackle such a massive mythology and make it so accessible and so fresh. Jenkins using Diana's ongoing quest for knowledge about Themyscira as she grows up on the island is a clever way for us (the audience) to learn about her world as she does, which ends up giving the viewer a bit of a personal stake. Watching Diana navigate the worlds of man, and start to slowly learn its many flaws and horrors, is captivating. Her innocence and inexperience perfectly off Steve's world-weary character, one who's seen the worst of humanity. And as much as this is Diana's story, Jenkins makes sure that the supporting cast gets their due as well. Linda Park sparkles as Etta Candy, Steve's assistant, and the squad that Steve assembles to help them reach the front lines is an inspired collection of characters. The team that travels with Diana and Steve would've just been nameless cannon fodder in any other movie. But here, Jenkins gives each of them a moment or two that tells us everything we need to know about them. Ewen Brenner, as Charlie, gets two particularly poignant scenes that hit surprisingly hard. Only the film's main antagonists - General Ludendorff and Dr. Poison - feel slightly underdeveloped, but they both get some great moments that establish them as traditional, flat-out evil foes and as enough of a credible threat. And like the great world building, mythology exploration and character development, the film's action sequences are very well executed, save for the odd bump. The beach attack sequence is thrilling (the scene as the Amazon warriors charge down the invading German forces is a stunning sight to behold, especially with Robin Wright's fierce Antiope leading the way and Connie Nelson's Hippolyta proving to be a force of nature), and the alley scene is a great callback to Superman: The Movie. However, the "No Man's Land" sequence is a show-stopping gem of a moment. It's exhilarating and magnificent in execution. 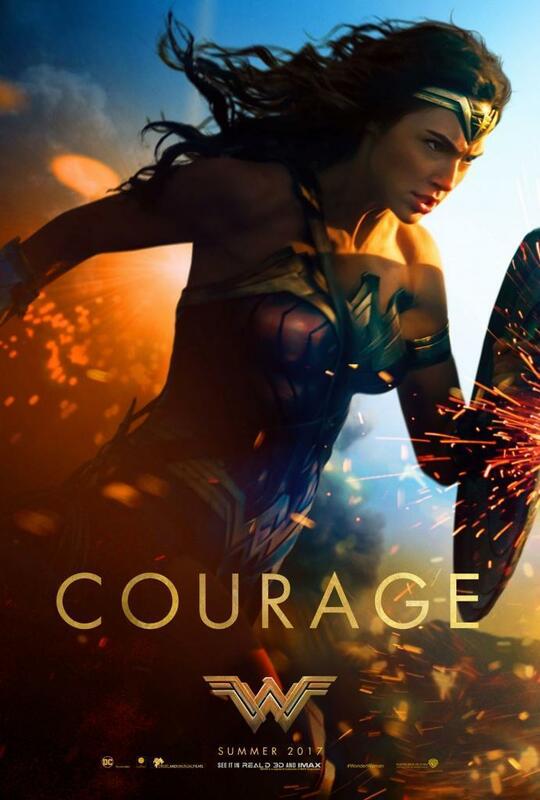 Watching Wonder Woman charge down a war-torn battle field deflecting bullets, while at the same time inspiring soldiers to take arms and join her, is an indescribable moment. And great as these action sequences are, they do occasional fall victim to some iffy CGI. The switching between live-action performers and CG characters is rough, and some of the animations (running, some jumps, etc.) feel disjointed and robotic. Unfortunately, while earlier action beats in the moment aren't hampered too much by it, the climactic battle in the third act definitely succumbs to murky CG work. It doesn't help that the big final battle drags on a little longer than it should and succumbs to CG overload. A more personal, intimate tussle could've possibly looked better and been more effective than a big, flashy smackdown (which seems slightly out of place compared to the earlier, more grounded action sequences). Despite a couple minor quibbles, Wonder Woman is an absolute rousing success. 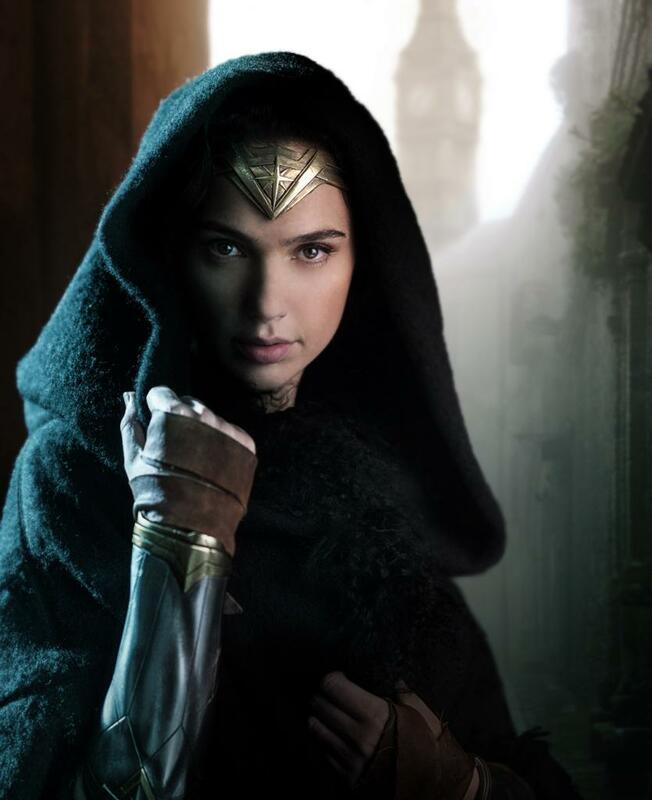 Gadot absolutely shines as the title character, and brings her to life in a way that is an utter joy to behold. Even fans of the classic Wonder Woman TV series should get a kick out of it. The directing is on point, the casting is superb, the setting is surprisingly effective (and topical) and the story has real heart and emotion to it. It's also refreshing to see a superhero who's compassionate about helping others and isn't bogged down by dark angsty problems. Wonder Woman wisely stays honest to the comic book origins of the beloved icon and is all the more better for it. 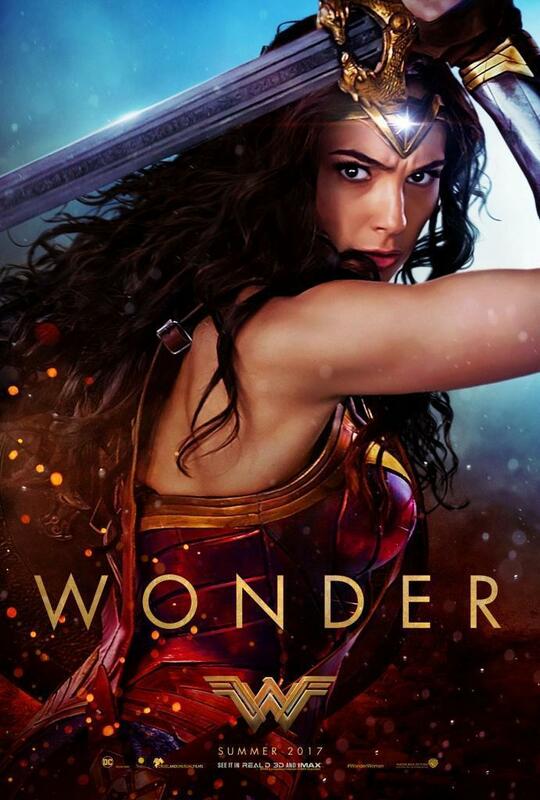 Wonder Woman fans can rest easy knowing that the Amazonian Princess finally has a big screen adventure that delivers in nearly every conceivable way. Highly Recommended! 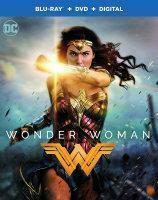 Warner Bros. Home Entertainment has released Wonder Woman in a wealth of different editions for home media consumption. The movie can be puchased on Digital HD, standard definition DVD, Blu-ray and 4K Ultra Blu-ray. The studio has provided The World's Finest with both the Blu-ray and 4K Ultra Blu-ray to review. Starting off video and audio, it should be no surprise that Wonder Woman looks absolutely stunning on both Blu-ray and 4K Ultra Blu-ray. On Blu-ray, everything looks crisp, detailed and full. The color palette looks great, with no detail lost due to the film's heavy use of color timing. The opening sequence on Themyscira looks particularly amazing in both formats, though so much more on 4K. The colors are lush and the detail is staggering. 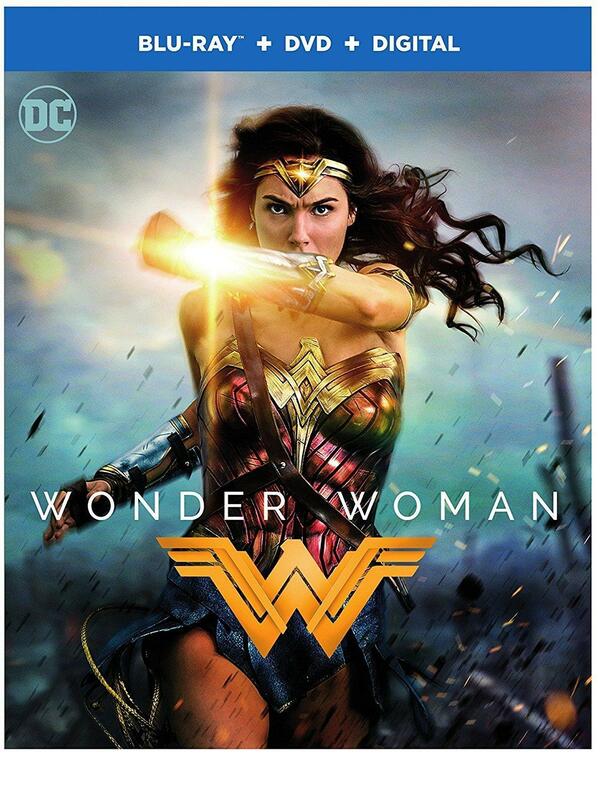 Naturally, things look a little more robust in 4K - colors look a little more full, for example - but both formats present Wonder Woman in reference quality. Seriously, this is one of the best looking Blu-rays Warner Bros. has released, and the 4K is just as up there in terms of HDR quality. Audio sounds absolutely fantastic, with a great mix that gives each speaker in one's home entertainment system fair play. The action scenes sound hefty and full, especially the epic "No Man's Land" sequence. The audio mix for the scene, in both formats, is extraordinary. Dialogue is crisp and clear, and is never dulled by the action sequences in any way. When Wonder Woman's theme really kicks in during that whole sequence, it's mixed so perfectly, and so well timed to the action and, even with all the sound effects and dialogue, everything in the track is easily distinguishable. Except for key moments (explosions, important dialogue scenes, for example), the audio mix makes sure that everything is in balance. In terms of special features, this is one of the better recent efforts for a superhero-centric home video release. There's actually a fair amount of content here. Yes, a far cry from what bonus content used to be like in previous years, but still a solid effort. 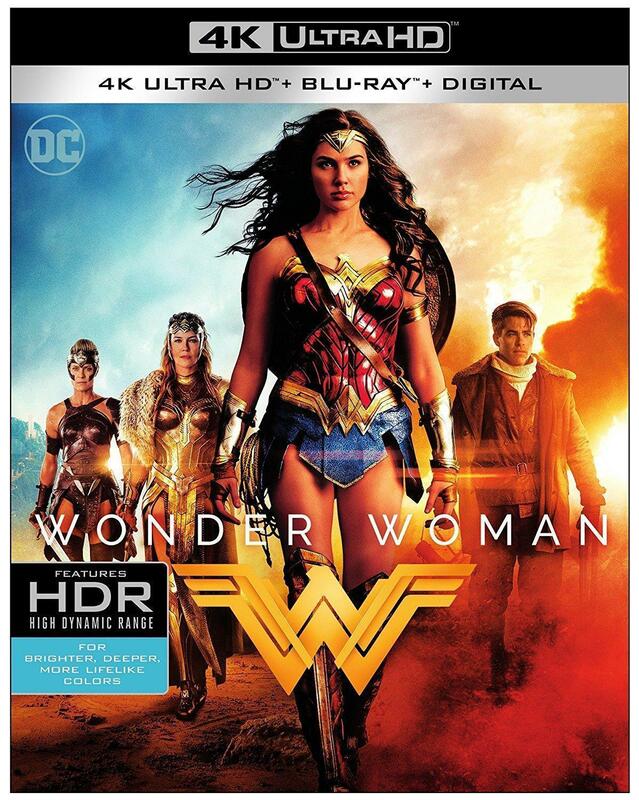 Please note that the bonus content for the 4K release of Wonder Woman is housed entirely on the Blu-ray included with the release. The spotlight extra is the bonus scene titled "Etta's Mission," a brief two-and-a-half minute scene featuring Etta Candy getting the team back together to go after a Mother Box. A great scene which, honestly, should've been added to the film as a post credit sequence. 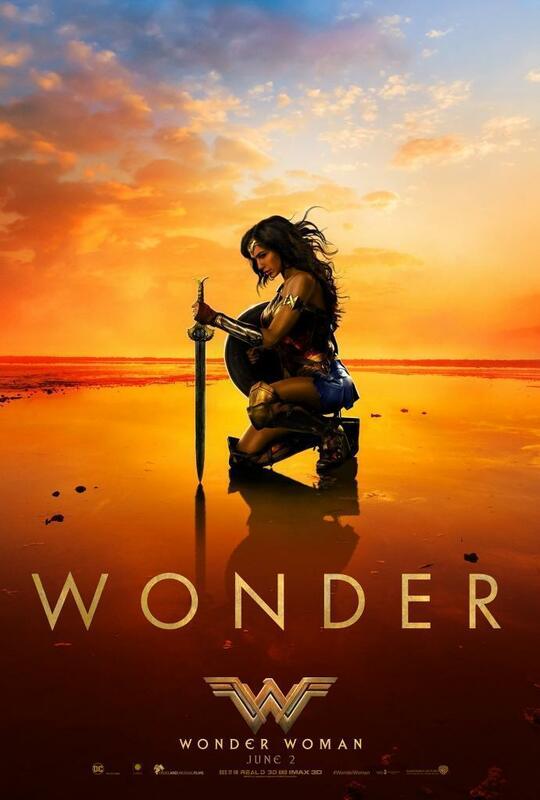 In the 16-ish minute "Crafting the Wonder" featurette, the cast and crew talk about how the film came together, Wonder Woman's back story, the production, the costume, locations and Patty Jenkin's work on the film. Cast and crew are interviewed, offering neat anecdotes, tidbits and comments on just how much work went into this film. This is followed by "A Director's Vision," a collection of behind-the-scenes videos covering specific aspects of the film's production. 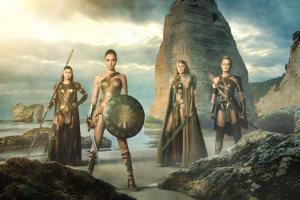 The five behind-the-scenes videos - "Themyscira: The Hidden Island," "Beach Battle," "A Photograph Through Time," "Diana in the Modern World" and "Wonder Woman at War" each run about five minutes in length and actually manage to cover a good amount of ground. "Themyscira: The Hidden Island" covers the difficulty the crew had in finding the right spot to create Diana's home, which "Beach Battle" breaks down the work put into creating the movie's epic clash between Amazon and German soldiers. "A Photograph Through Times" offers a technical look at the pivotal picture seen both here in Wonder Woman and in Batman v. Superman: Dawn of Justice. "Diana in the Modern World" focuses on the film's period setting while "Wonder Woman at War" breaks down the epic 'No Man's Land' sequence from the movie. Each behind-the-scenes video is interesting and worth checking out. 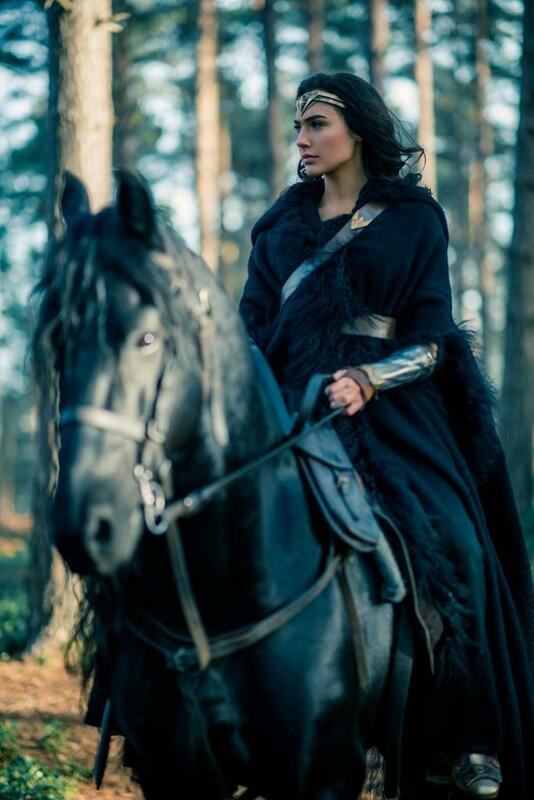 Moving on, "Warriors of Wonder Woman" covers the workout regiments, training, acting classes (as some were not actors), and everything the woman preparing to play the film's Amazons had to endure for the role. "The Trinity" looks at the DC Comics origins of the character and her role as one of DC's Trinity alongside Batman and Superman. It's a nice look at the character's background and what makes her such a critical part of the DC Universe. "The Wonder Behind the Camera" is a rundown and celebration of the women who worked on the movie, starting with Patty Jenkins. It's a great look at all the talented woman who worked on this movie and, seriously, played a big role in why this movie turned out so damn well. "Finding the Wonder Woman Within" is a nifty extra where a host of artists, celebrities and other public figures talk about the power and impact of Wonder Woman and what the character means to them. Possibly the lightest extra, in terms of content, but it definitely shows the impact she's had over the 75-plus years. The disc also includes five extended scenes and an alternate scene . The extended scene contain snippets of new dialogue here and there, though nothing really different from the end product. 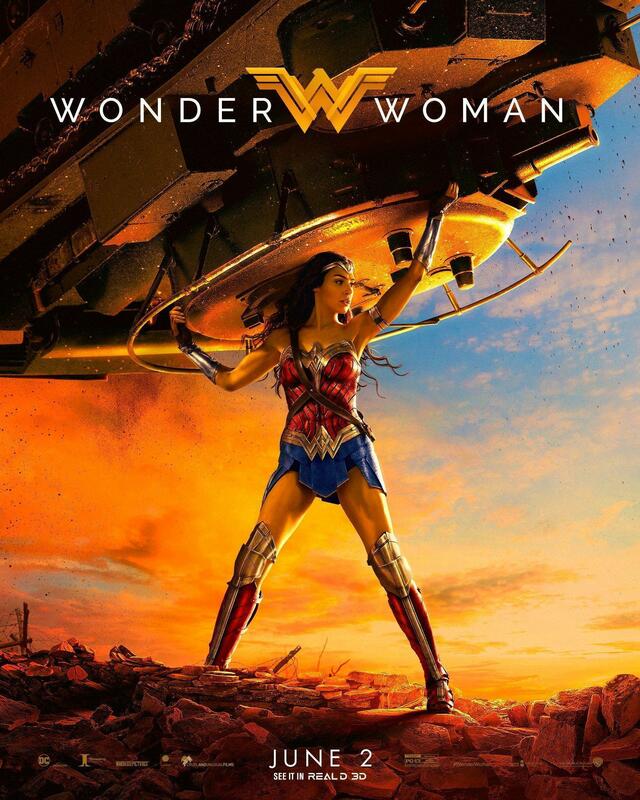 The alternate scene, which takes place just before the epic "No Man's Land" sequence, is a more dialogue-heavy take on what we see in the movie, with more talking among Wonder Woman and her team as they approach the film's key sequence. Jenkins says the scene was changed so Wonder Woman would see more of the horrors of war. The bonus features are wrapped up with a funny blooper reel and the trailer for Justice League. 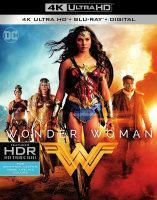 As usual, the Blu-ray comes with a bonus DVD and digital version of Wonder Woman while the 4K releases comes with a bonus Blu-ray and digital version. Without a doubt, Wonder Woman is a Must Own thanks to its stellar presentation (in both Blu-ray and 4K formats) and solid amount of bonus material. It's a fantastic movie, even with its faults, and it's nice to see the film receiving a suitable home video release. The bonus material isn't exhaustive, but its still an extensive look at the film's production. For comparison's sake, Warner Bros. manages to continuously outperform Disney when it comes to supporting their superhero-themed titles on home video, by providing adequate content and stunning presentations, and this release is no different. Wonder Woman truly deserves a spot in everyone's home video collection. It's a fun, rousing, sometimes emotional movie featuring one of the most iconic heroes of all-time, and it comes packaged in a fantastic home video release. Review copies provided by Warner Bros. Home Entertainment. Please note that did not have any bearing on my final review of the products. Discuss Wonder Woman at Toonzone!